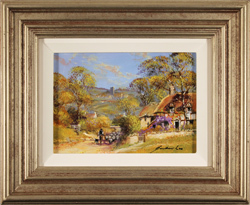 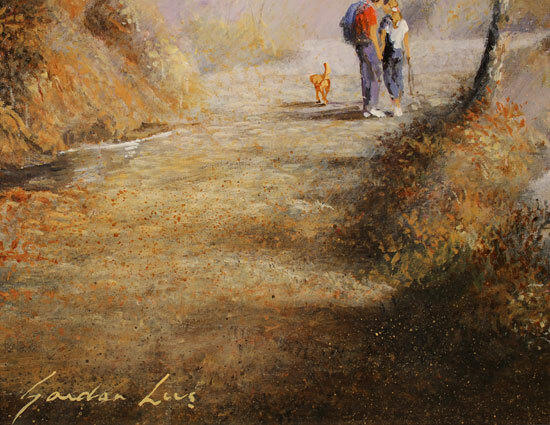 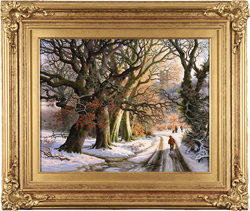 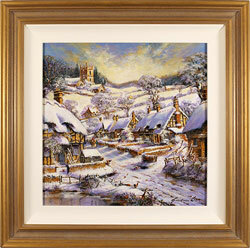 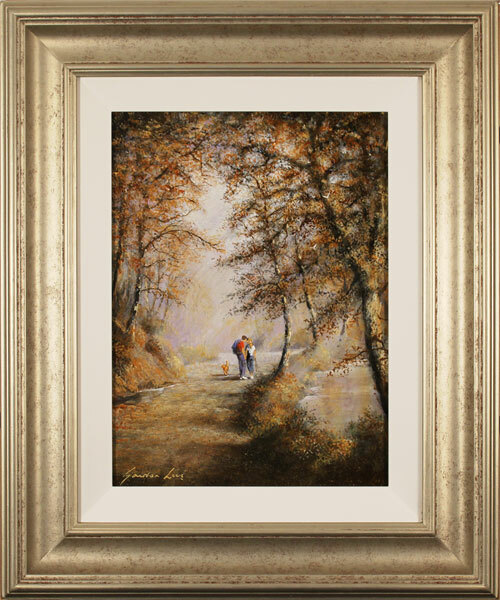 A Walk in the Woods sees the ‘Original Master of Light’, Gordon Lees, capture the intimate charm of two young lovers taking a stroll, in this blissfully romantic scene. 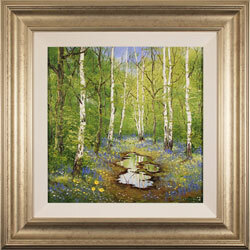 It is as though the woodland has opened a secret pathway just for the pair. 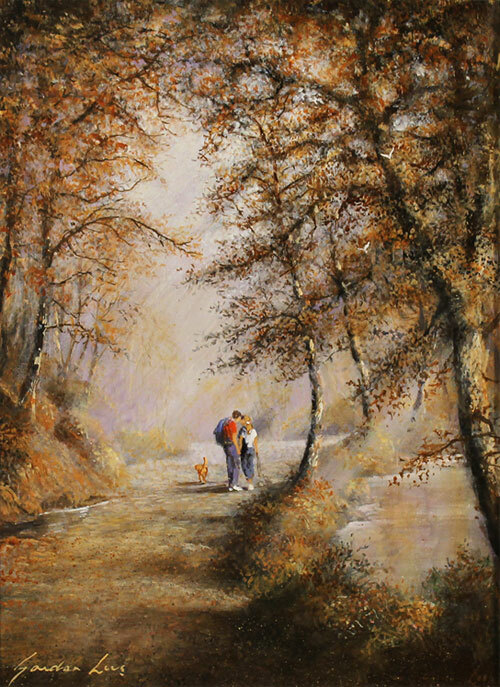 As light floods through the treetops and the forest radiates an autumnal warmth, it is hard not to fall beneath the spell of Lees’ brushstrokes.